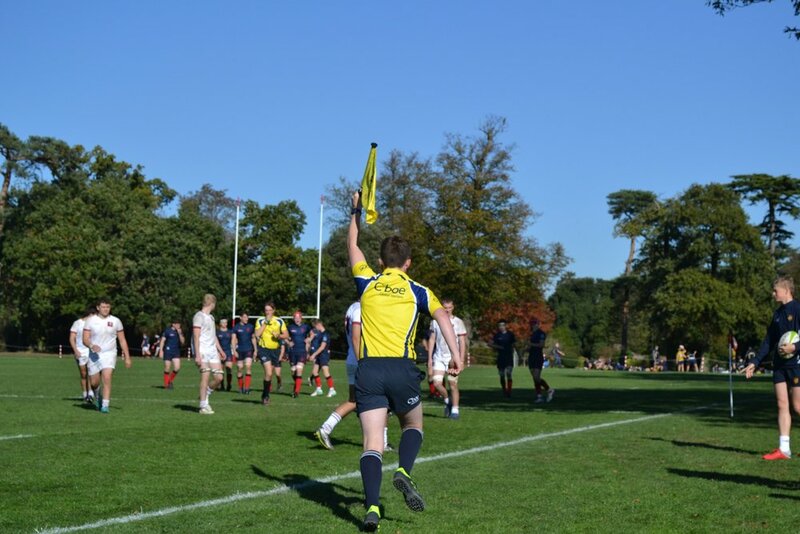 Whilst our primary aim is to support the game in London and the South East, we are very fortunate to be invited to officiate at some of the best tournaments in the UK and overseas, as well as welcoming exchange referees from other societies around the world. These tours are a great opportunity to help grow the game in different parts of the world, develop our referee's skills on and off the pitch as well as offering a once in a lifetime opportunity to experience the rugby culture of a foreign country. This page provides just a taste of some of the things we have been up to over the last couple of years! You can follow all of our tourists' exploits on Twitter and Instagram by searching for the hashtags #LSRFURONTOUR and #CROUCHBINDTOUR. If you are looking to host an incoming referee from overseas, make sure you contact the General Secretary to arrange the appropriate insurance - all the details are on our Members pages. Each year LSRFUR are fortunate enough to send referees and supporting officials to the world famous Dubai International 7s. The event runs in parallel to the World Rugby 7s tournament and is renowned for its high playing standards, grueling physical demands and status as a breeding ground for developing referees on the world stage. If you love rugby, then the Dubai 7s is like coming through the desert to find an oasis. 3 days, 8 pitches and every level of rugby; from the World Series, to local school teams, with everything else in between. This year 6 London referees and 3 coaches/administrators headed out to the desert. Arriving at the beginning of the week, we enjoyed a few days exploring the city and the famed Wild Wadi Waterpark, followed by a ground orientation tour (critically including the ice bath locations) and detailed tournament briefing . The next 3 days were very tough, both physically and mentally, with an average of 4 games refereed and 8 as an AR each day, but hugely rewarding. What makes Dubai a unique rugby festival is the opportunity to work with other referees and coaches from different parts of the world; sharing and learning from each other’s experiences. Our team all performed exceptionally, officiating some of the most prestigious matches in the tournament. A huge thanks to LSRFUR for providing us all with the opportunity to referee at such a special tournament! 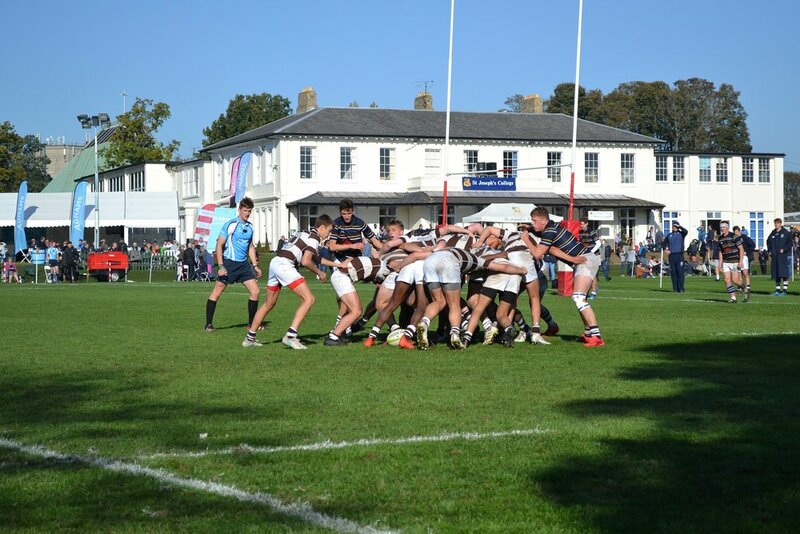 A famous and prestigious tournament for teams from across this UK, the St Joseph’s College National Schools Rugby Festival is one of the marquee events of the schoolboy calendar. LSRFUR are honoured to provide the full officials team each year to what proves to be one of the most exciting weekends of the season. A full write up of the 2018 tournament can be read HERE. Photos and match coverage from this year’s tournament featuring LSRFUR referees can be seen below. We started a referee exchange with the Japanese RFU and Fukuoka RFU in 2016 anticipating the run up to the 2019 world cup. 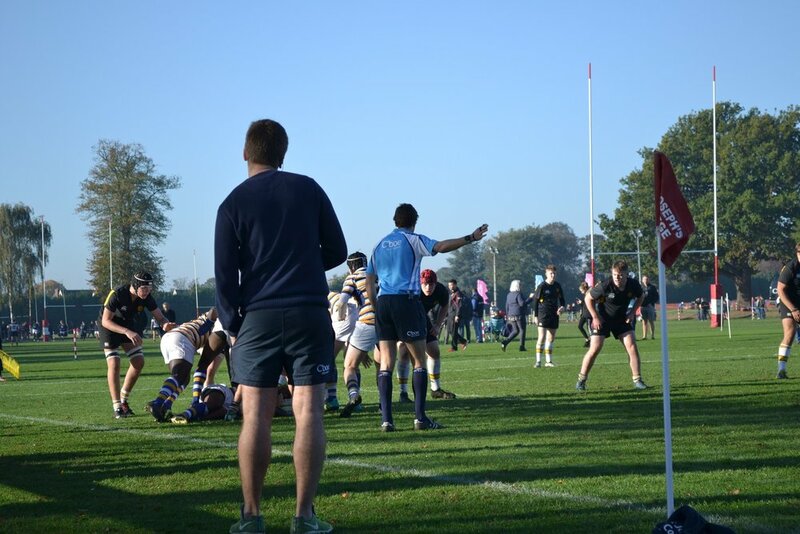 We’ve grown from one referee exchanging each way for a week in November to to multiple exchanges each year, including hosting Japanese referees in London at the Rosslyn Park National School 7s each March. This amazing opportunity is available to LSRFUR referees looking to advance their refereeing at Level 7 and Level 6, and gain valuable rugby experience of refereeing in a different culture with a very different style of play. It’s a fantastic cultural experience and one that our referees will remember for life! Japan was a one of a kind experience, something I would never have done as a player and one I’ll remember for life. The challenge of games from university 1st XV to their 2nd tier men’s league provided a great learning experience that helped me referee my games back in England. A game played at much higher pace with less focus on ‘boring upfront forwards play’ made all 4 matches a joy to be in the middle of. The other referees and coaches hosting me gave an opportunity to really enjoy the wonderful Japanese culture and of course Sake!! 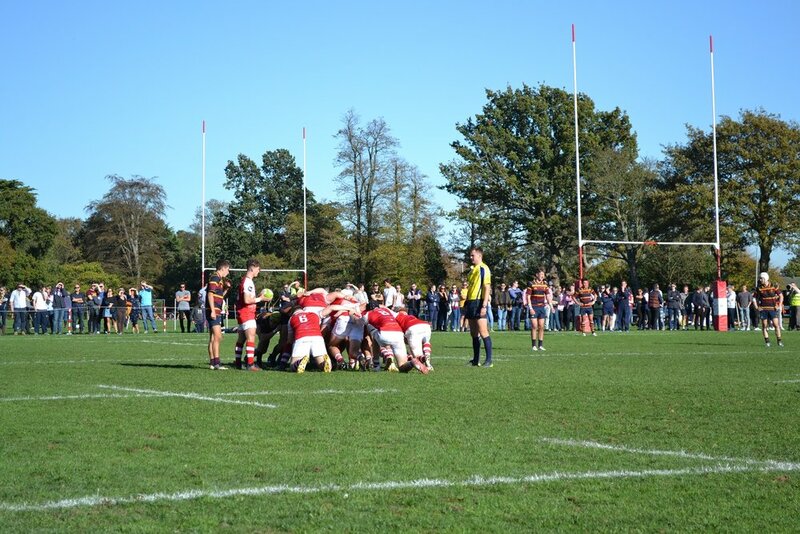 Every year over the late May bank holiday weekend, London Society goes on tour to the Bournemouth 7s Festival, the biggest sport and music festival in the world! We take London referees from Level 10 to the national panel to referee across two massive days of rugby on the south coast. With over 40 referees, coaches, assessors and two dedicated appointers, its our biggest event in the calendar. The rugby includes some of the best teams in the UK, to the club social sides - so there is something for everyone to referee. We take it seriously… but not that seriously…. (#captainserious) and it’s fantastic social weekend for the society. The annual international COBRA 10s in Kuala Lumpur was first held in 1967 and has been an ever present event on the international calendar for the last four decades. The opportunity to go and referee at the Cobra 10s in Malaysia was both a lot of fun and a truly great experience. Myself and my fellow tourists landed in Kuala Lumpur on the Tuesday, with the tournament starting on the Saturday, which gave us some time to explore the city and see what is has to offer, such as the Petronas Towers and the Batu Caves. There was also the enjoyment of being hosted at the Cobra club on the Wednesday evening, which was great fun, from what we remember of it! After a gentle run and a short sprint on the Friday morning to get used to running in the heat and humidity, Saturday arrived, and the real business began. The tournament was composed of 16 teams from Malaysia, New Zealand, Australia, Fiji and Scotland, and the standard was notably high with games played at a frantic pace. The rugby was both a great challenge for us as referees, but also a fantastic opportunity for us to work with referees from other countries to learn and share our knowledge and experience. In the end, after two days of top-quality 10s rugby in the heat and humidity, it was disappointing that the final ended up being abandoned after just two minutes due to a prolonged lightning storm in the area! What wasn’t a disappointment, however, was the chance to go and represent London society at one of the premier tournaments in the birthplace of Rugby 10s. The annual Bangkok 7s is an emerging tournament that attracts players and officials from across Asia and the world. I was fortunate enough to represent the society in Thailand this year at the Bangkok 7s. A day of sightseeing on the river Praya was followed by the Welcome Dinner and tournament briefing on the Friday evening, where I met referees from New Zealand, Australia, Hong Kong, Dubai, Namibia and the UK to bolster the local Thai contingent. After a full day of qualifying games on the Saturday, I was delighted to be selected to referee one of the Men's Finals on the Sunday. The 36 degree heat and 90% humidity were a big challenge, but these were quickly forgotten in the excitement of a close Final in front of the main stand. I remember that when I started refereeing, I found it hard to believe that referees could manage out most red cards from their games. Had there been any doubt left in my mind, then this was erased after the last game on the Saturday when I was AR'ing for a young Thai referee who, with less than a minute left on the clock, ended up giving out three red cards! My role as part of the SW Region Red Card Group came in handy though, as I was drafted in to write up and present three red card reports on his behalf. When I joined the LSRFUR 7 years ago, I never dreamed that it would lead to me whistling half way around the world. 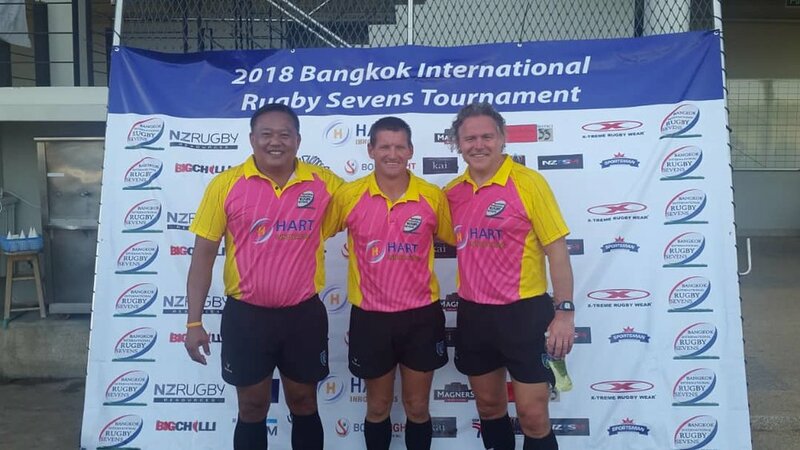 It was a fantastic trip and a real honour to represent the London Society at the Bangkok 7s; and at the same time become a fully paid up member of the South East Asia Rugby Referees Group. For the last few years, London has sent a group of referees to the Stanislas 7s tournament in Nancy, France. Arranged through former LSRFUR referee Alexis Charolais, who now sits on the organising committee, the weekend in late May is a fantastic opportunity for some of LSRFUR’s best 7s referees to develop their skills overseas, pick up some referee French, and contribute to a fantastic tournament. Some of the teams include the development squads from France, Germany and Sweden, as well as invitational sides from across France and the UK. This year, LSRFUR referee Anna Coppell refereed the women’s final in only her second season of refereeing. A great achievement for Anna and for London!